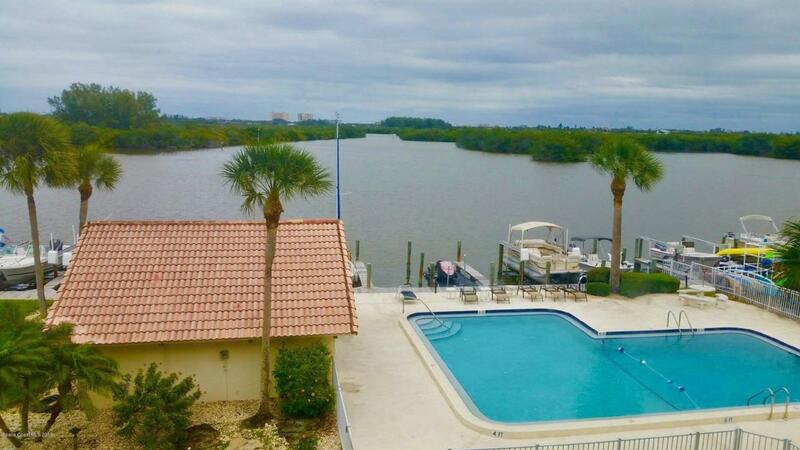 PARADISE FOUND in this exceptional DIRECT RIVERFRONT PENTHOUSE. 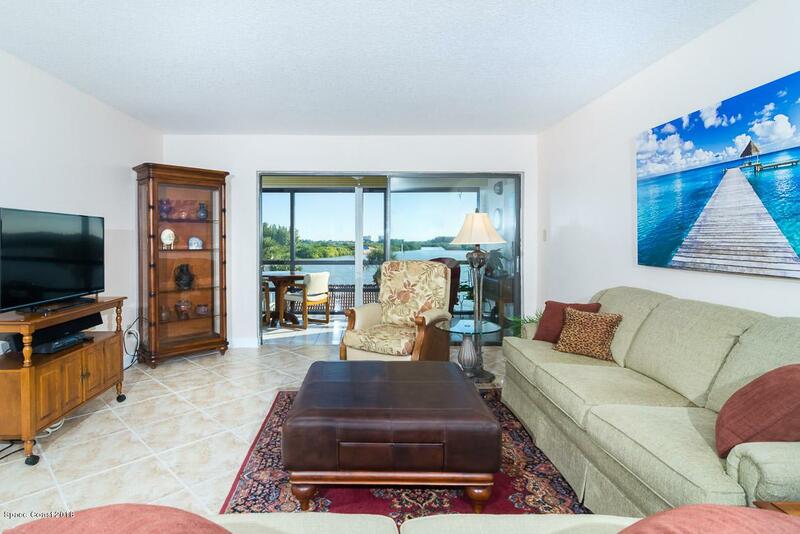 This spacious 2 bedroom, 2 bath condo offers a tranquil waterfront lifestyle with million dollar views. Enjoy kayaking, boating and fishing from your backyard. Watch manatee and dolphin play, the sun as it rises, and the Christmas boat parade from your own private balcony. 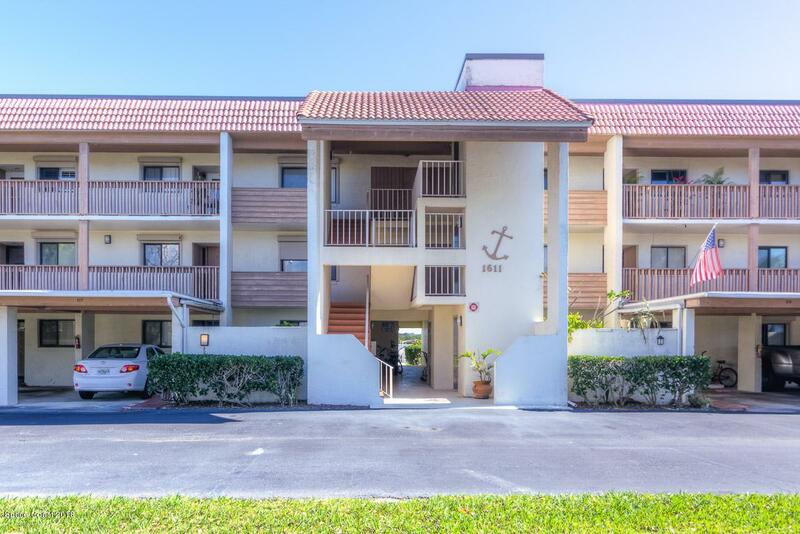 This beautifully updated unit features: plantation shutters, storm shutters, all tile flooring, updated bathrooms and kitchen. The community offers an elevator, a large riverfront pool, gazebo, boat dockage, kayak storage, covered parking and much more. 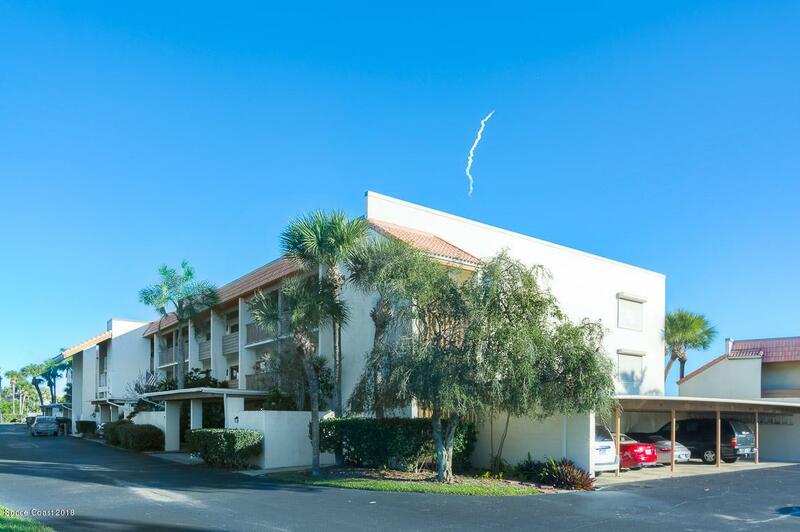 Located in the heart of Cocoa Beach just across from the CB golf course, olympic sized pool and tennis courts and close to the beach, restaurants, and shopping.